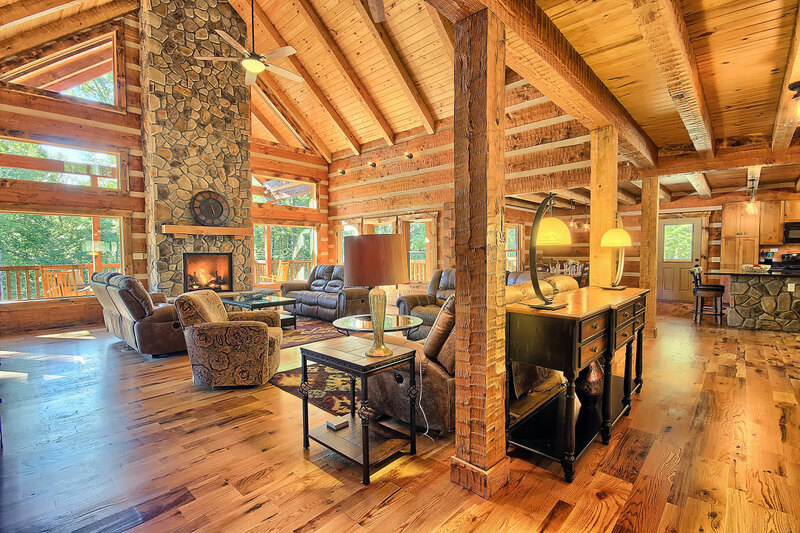 Wildcat Lodge in Hocking Hills, Ohio is a luxurious, custom, hand hewn log structure with quality throughout. 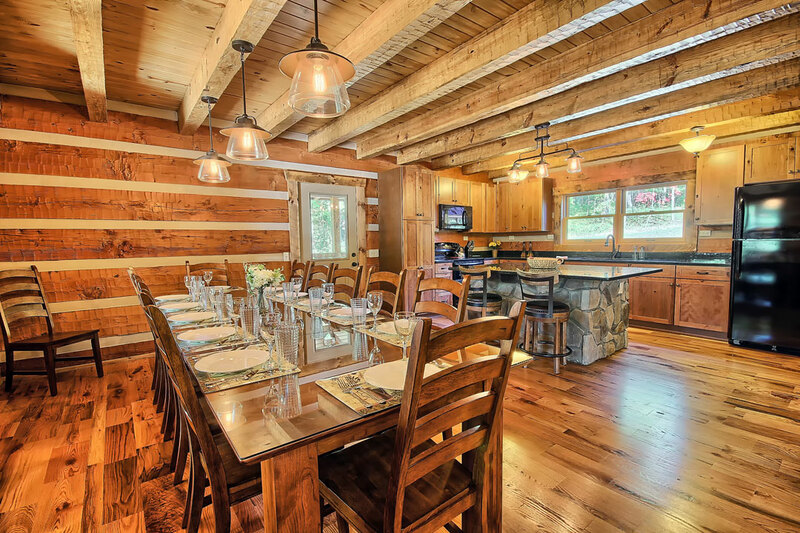 This impressive lodge is specifically designed for entertainment and relaxation for family groups of up to 18 people. Included within the 4,700 sq. ft. of finished living space is 4-bedroom suites and multiple gathering areas and game rooms for the entire family to spread-out. Additionally, the over 2,000 sq. ft. of covered decking and outdoor patio space is ideal for enjoying Hocking Hills no matter the weather. Located in the heart of Hocking Hills, Wildcat Lodge is close to all of the area’s attractions and amenities. 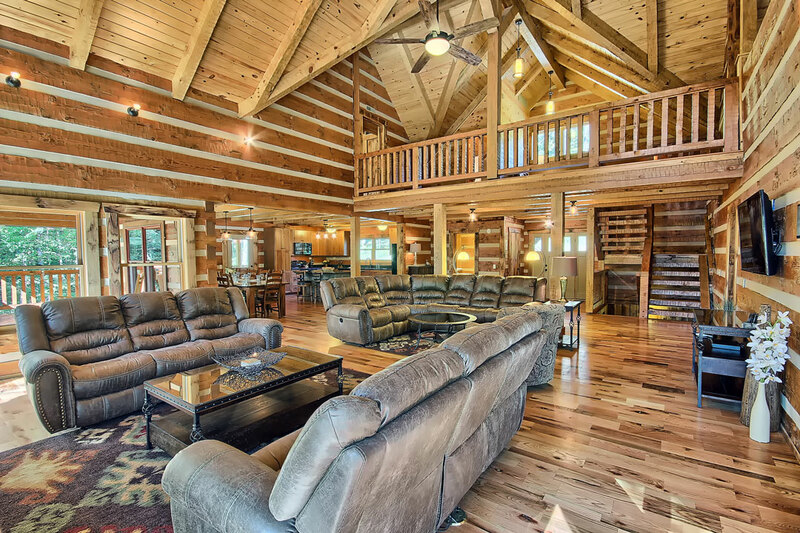 While here guests will enjoy the beautiful natural surroundings included in the 20 heavily wooded, yet scenic acres with incredible views and rock formations. 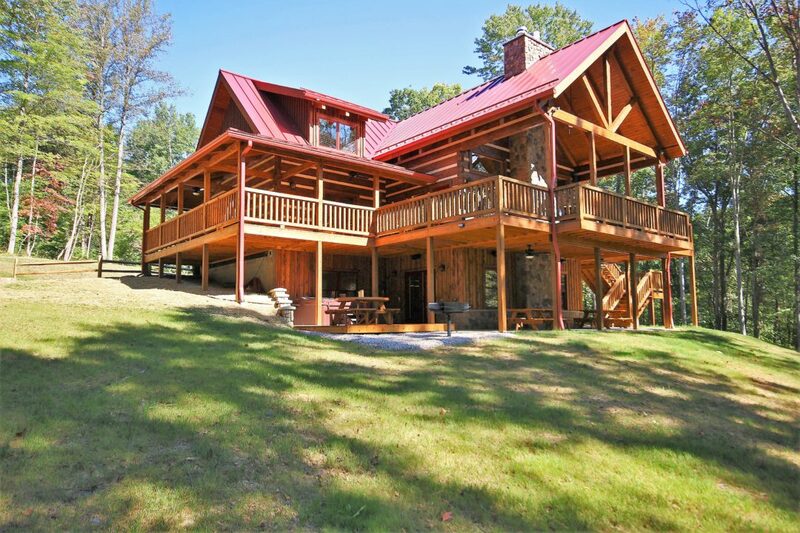 While many guests come to Hocking Hills for the parks, Wildcat Lodge just might be your final destination! Base rate price range is $375 (2 ppl) – $800 (10 ppl) per night. All reservations require a $1,000 min. refundable security deposit. Max. Occupancy is 18 guests.